A wedding blog offering advice and inspiration for wedding flowers and honeymoon travel destinations. Based in Essex. Colour blocking MY FAVOURITE. Choosing only a few ingridients for your arrangements is so very effective and so very cool. This is truly a look for the modern, design led bride, it works great in industrial venues, modern hotels and other city venues. It’s simple, stunning and full of impact. Roses and orchids tend to work best in this trend or any other large-headed bloom. Popular trends in interiors often soon translate to weddings. Natural fibres, neutral colours and a little 70s west coast style are all elements that contribute to the perfect boho home space. Translating this to your wedding couldn’t be easier through the use of dried flowers and palms. I, for one am so pleased with this recent trend! Once the hobby of your Gran, dried flowers add instant cool to your space alongside some well-placed, weathered Persian rugs and bamboo furniture. Even better you can hold on to them as a keepsake from your day! If you’re not ready to hit the dried trend full on try mixing fresh and dried together which can work just as beautifully and allows you to add a little colour. Muted tones such as nudes and dusky pinks look particularly great alongside dried. 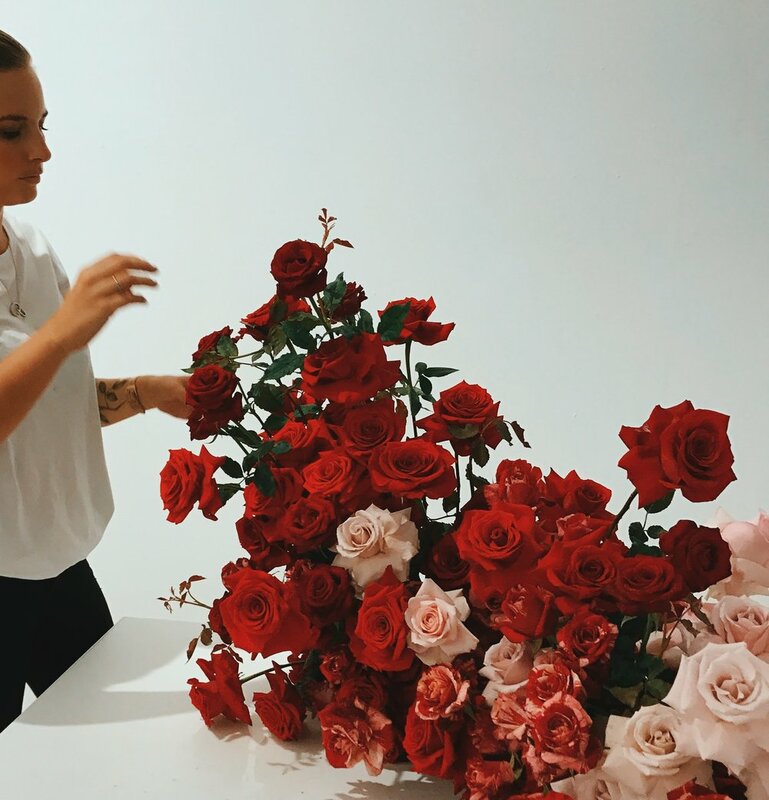 As always Pantone’s announcement of colour of the year always has an effect on flower trends and this year will be no different. Coral…or ‘Living Coral’ as Pantone have named it will be hugely popular in weddings and a lot easier to incorporate than last years ultra violet. If you are lucky enough to be getting married in late spring to early summer then coral peonies are a must. There beautiful blousy petals, huge heads and incredible colour fully represent this trend. For other times of year try roses, ranunculus and even cala lilys in coral. This year will see a huge rise in environmentally friendly flowers. As we learn more about how we are damaging our planet through single use plastics, floral foam ( the green foam blocks florists use as a water source for arrangements) are deservedly becoming hugely frowned upon in the industry. And as Meghan and Harry’s florist proved with their incredible foam free arch, there really is no need to use it. I for one will be making a conscious effort to avoid the use of floral foam in 2019. It my take a little more time and a little more man power but it’s worth it to all take responsibility for our planet. Your florist should be able to suggest alternatives to any arranagments using foam you have already discovered. Is it even a boho wedding blog if you don’t mention pampas grass?(!) 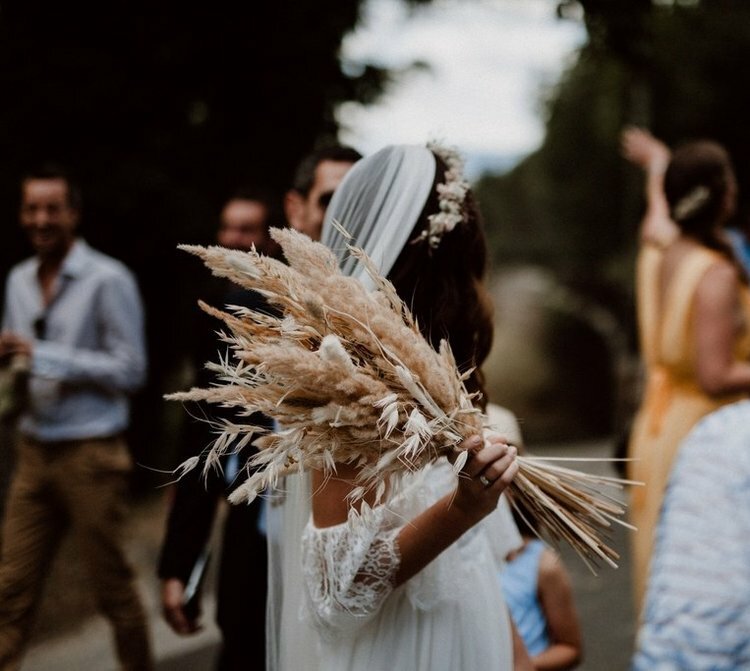 Pampas grass was a big deal in 2018 and why wouldn’t it be, the texture, whimsical shape and natural colour bring effortless boho cool to any wedding and it’s certainly not going anywhere yet. It looks incredible in bunches as pew ends, decorating an archway or a single stem in your bouquet to create that oh-so-beautiful soft shape. It also looks absolutely incredible in pink as dream girl Mandy Moore showed us all with the most swoon worthy wedding of the year. 3 Reasons the Yucatan Peninsula, Mexico is the Honeymoon Destination you’ve been searching for.